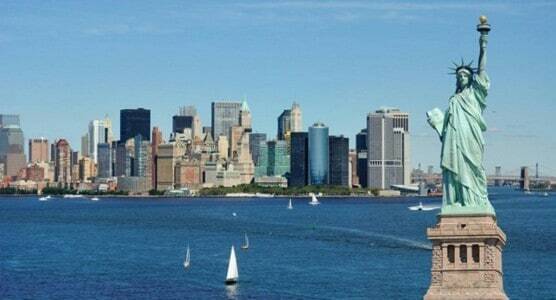 Design and Architecture in New York from 16 to 18 May. In New York, during the week of design, INTERNI – the magazine of contemporary design and architecture – and Salone del Mobile.Milano, the most important international furniture fair, organize “American Architects meet Italian Design,” a circuit of encounters to encourage dialogue between the world of design and the world of production, involving major international architecture studios and Italian companies that symbolize the history and culture of design. From 16 to 18 May the most representative flagship stores of made in Italy become a unique showcase for encounters organized to promote design culture thanks to prestigious international architecture studios invited to narrate their work and to discuss the themes and history of Italian companies. Through the stories of the most recent works or projects in progress by American studios, “American Architects meet Italian Design” is structured as an open debate, where architects shed light on their modus operandi: creativity, the design process, the relationship, with clients, research on new materials, experimentation with new technologies, all the way to the choice of finishes and furnishings. “American Architects meet Italian Design” is a circuit of encounters in which architects are invited to discuss the processes that lead to the creation of interiors for major architectural projects. How can an architect stimulate Italian companies to make suitable, competitive products for the international market? To what requirements should products respond to meet the needs of the market? An opportunity for a fertile encounter between design culture and business culture. The term made in Italy is American, and has been ever since 1972, when this expression was combined with the exhibition Italy: The New Domestic Landscape. Achievements and Problems of Italian Design organized by Emilio Ambasz, curator of the Design section at MoMA New York from 1970 to 1976, on furnishings, lamps and appliances for the home. Today the term is universally recognized as a symbol of Italian quality and the unique character of Italian furniture design in the world. With that exhibition, Italian design laid the groundwork for a fertile relationship with the other side of the ocean: Italian companies developed an international approach that has become part of the entrepreneurial DNA of the sector, and represents today as one of the points of excellence of the production system. Forty-three years later, the relationship of trust and partnership created between Italian design and the world of American design, thanks to the work of leading brands, remains a solid one, just as New York has been and remains the international capital where this relationship is reinforced, year after year. Once again this year New York welcomes the know-how of design made in Italy, hosting and sharing it together with INTERNI, the magazine that has spread the word about Italian design in the world since 1954, and Il Salone del Mobile. Milano, the most important international furniture fair. Made in Italy is quality: in invention and design, manufacturing prowess, technological innovation, experimentation with new materials and new furniture typologies, all values for which Italian companies are spokespersons and makers. “American Architects meet Italian Design” is a new chapter in this remarkable story. INTERNI underlines its international character and joins forces with the most important international design weeks to organize an interesting series of events. The circuit involving the most prestigious flagship stores of Italian design offers three appointments this year. 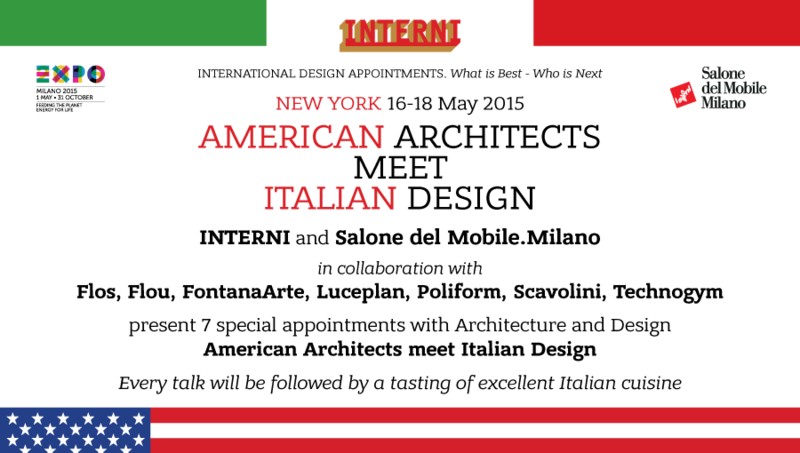 In the third week in May the design showrooms in the creative districts of New York City will be enlivened by Interni with encounters and talks that compare Italian design and business. During the event in London that celebrates design in September, INTERNI organizes exclusive encounters involving major international designers and the finest italian companies. Art and design meet in December in Miami, in one of the most famous and lively events in the field of creativity; for INTERNI collectors, artists, entrepreneurs and designers narrate their paths and careers. The Salone del Mobile was founded in 1961 to promote Italian exports of furniture and complements. It soon became the international reference point of the furniture sector, where ideas, design, technology, innovation and quality meet in a unique situation of creativity. The international character of the institution is illustrated by the Saloni WorldWide Moscow, held in October each year in that city, attracting professionals from Russia and other regions, including the former Soviet republics and the Balkan states. The two events – with a selected number of exhibitors representing Italian excellence – provide a showcase on a worldwide level for Made in Italy, one of the loftiest expressions of Italian culture. High-quality Italian furnishings, over the years, have passed from the status of functional objects to that of true objects of desire, thanks to an industrial and cultural process that combines craftsmanship, innovation, creativity and originality, known all over the world as made in Italy. 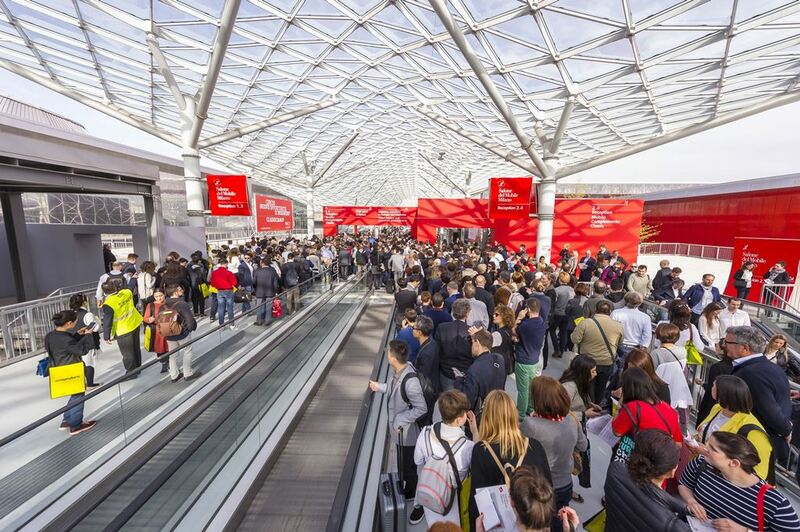 The 54th edition of the Salone del Mobile.Milano – in April at Milano Fairgrounds, Rho – confirms that this fair is the one not to be missed on a worldwide level, with a quota of foreign professionals of 69%. 310,840 visitors gathered in the 20 pavilions with over 2,000 exhibitors and 700 young talents at the SaloneSatellite. The protagonists were the quality of the products on display, but also the excellence of the booths themselves and the variety of the visitors; architects, designers, buyers, facility managers, distributors and journalists from all over the world came to the Salone, attracted by the chance to get a firsthand look at new products and trends. Alongside the Salone Internazionale del Mobile and the Salone Internazionale del Complemento d’Arredo – which welcomed 1504 exhibitors in a display area of 152,200 square meters – Euroluce, with its 475 exhibitors, presented the best technical lighting proposals. Located in front of Euroluce, in an ideal path connecting the world of lighting design with that of work environments, the other biennial of odd-numbered years: Workplace3.0 – the new SaloneUfficio, offered an original concept to update the success of an initiative that focuses on the workplace, gathering the best of design and technology for the office, thanks to 127 exhibitors. An important multimedia event – “IN ITALY” – also enriched the offerings of the Salone. Its protagonists were 64 Italian companies that presented a film, creating an installation and then an interactive App, available at the link http://fipad.lynxitalia.it/InItaly/ download.aspx, to promote Italian lifestyle and to discover the quality of made in Italy. 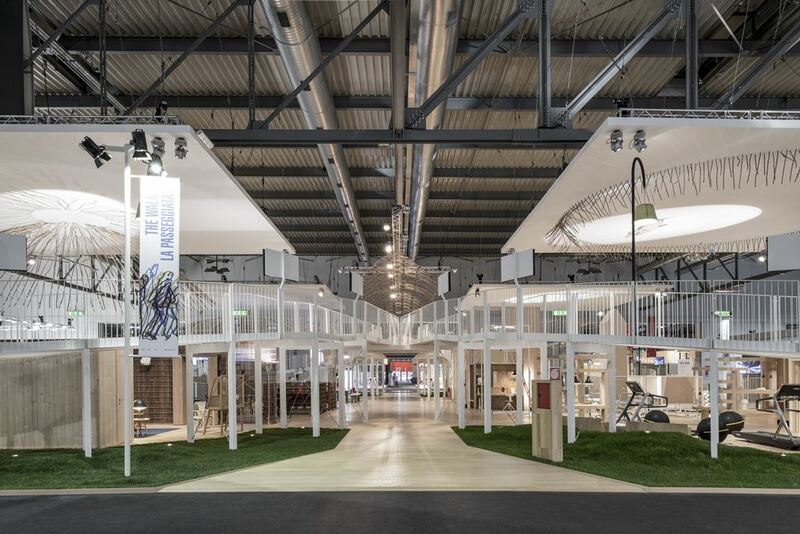 Another must was a visit to the SaloneSatellite, which in its 18th edition hosted 700 young designers and rewarded the best creativity under 35 with the SaloneSatellite Awards. Upcoming appointments: in October with Saloni WorldWide Moscow; from 12 to 17 April 2016 in Milan for the Salone and the biennials EuroCucina and International Bathroom Exhibition. La 54ma edizione del Salone del Mobile.Milano ha accolto 310.840 visitatori e oltre 2 mila espositori (photo Alessandro Russotti). 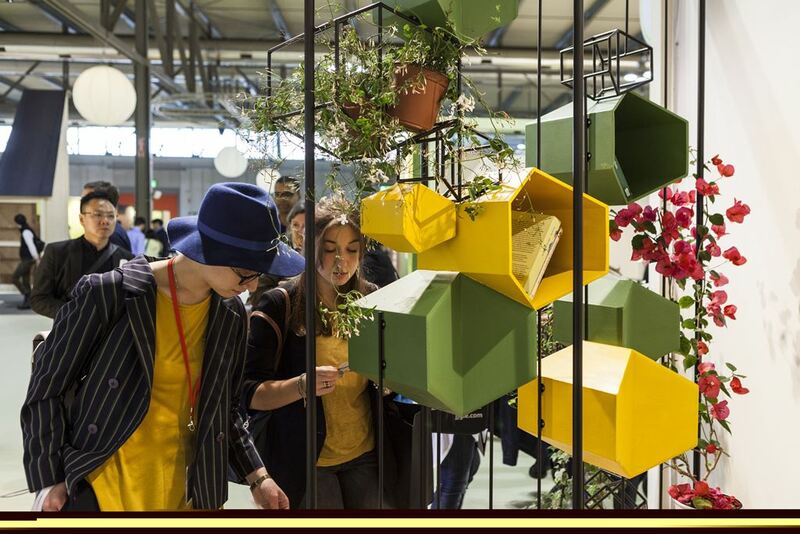 Alla sua 18a edizione il SaloneSatellite ha ospitato 700 giovani designer e premiato la migliore creatività under-35 con il SaloneSatellite Award (foto di Andrea Mariano / courtsey Salone del Mobile.Milano). La mostra ‘‘La Passeggiata’’ di Michele De Lucchi per Workplace3.0, il nuovo SaloneUfficio (foto di Saverio Lombardi Vallauri / courtsey Salone del Mobile.Milano).